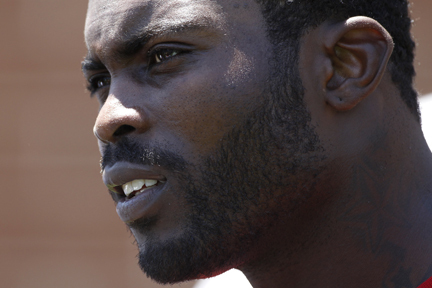 NEW YORK (AP) — Philadelphia Eagles quarterback Michael Vick is launching a sports clothing line called V7 that will be sold exclusively at East Coast sporting goods chain Modell’s. The line includes technical athletic clothing such as T-shirts, shorts and tank tops. Prices are $12.99 for children’s clothes and $19.99 for adult clothes. Part of the proceeds will go to the Boys and Girls Club of Philadelphia. It was developed in a licensing partnership with celebrity clothing-line mogul Ruby Azrak and former ICM talent agent Brian Sher, Modell’s confirmed.